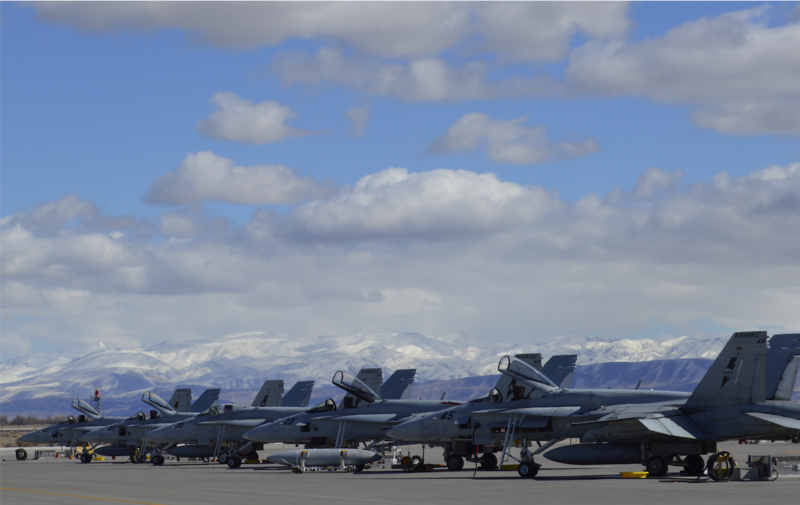 NAVAL AIR STATION FALLON, Nev. – The Navy’s new Air Boss laid out his priorities for the job – with a special focus on lethality and readiness for a high-end fight – during his first site visit since taking over as the eighth Commander of Naval Air Forces last month. Vice Adm. DeWolfe Miller simplified the Naval Air Forces priorities to reflect that new focus: “warfighting and people, and the readiness of both,” he said. 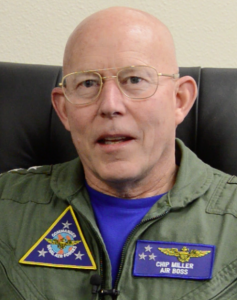 Miller told USNI News in an interview during the NAS Fallon visit that the emphasis on high-end warfighting is an important one for him. He knows better than most – having just previously served as the air warfare director on the chief of naval operations’ staff (OPNAV N98), the resource sponsor for the aviation community – that the community has been strapped for funds in recent years, leading to a struggle to keep jets mission-ready and therefore a struggle to keep pilots properly trained. Miller said he developed his vision and priorities before the Defense Department’s new National Defense Strategy was released, but he said he was relieved to find the two documents show a similar focus. “The National Defense Strategy talks about warfighting. It talks about lethality. It talks about being competitors,” he said. Commander, Naval Air Forces image. During his talk to the NAWDC staff, he warned there would be some lag time in getting aviation readiness back to where it should be, due to the long lead time for buying spare parts and other enablers for aviation readiness, but he wanted to assure the aviators there that he was doing everything he could to get more “up jets” for NAWDC staff and their students to fly. After his speech, Miller told USNI News that a top focus needed to be “getting them up airplanes. And so that gets at the whole readiness issue and improving our operational availability of aircraft. That’s not just here at our training center, but it’s also across the fleet. It’s getting our F-18s to the point where they are full mission capable. So what the budget allows us to do is start that process,” he said. “And I’ve used the quote before and I say it again: we didn’t get here overnight, and we’re not going to get out of this overnight. This is a process that’s going to take some time. And so those with the expectations that six months after you have the budget all of the sudden we’re going to be where we need to be, is a little unrealistic. But we’re going to get there, and we’re going to stay at it. “Overall I think the best thing we can do is get the health of our force healthy again, and then these guys are always going to do what they excel at, which is make sure we are highly trained academically and then in the air with the latest tactics to be able to win,” Miller concluded, referring to NAWDC. NAWDC runs pre-deployment training for carrier air wings, provides advanced tactics training through the United States Navy Fighter Weapons School (TOPGUN), and other missions involving naval aviation training and tactics. Miller’s love for NAWDC was palpable as he engaged with the staff throughout the day. He told several stories from his first visit to Fallon in the 1980s – including his first air fight, where he was thoroughly beaten by a pilot in an older A-4 despite being in a brand new F/A-18A Hornet, teaching him the importance of tactics and training over technological superiority. “In combat, performance never raises to the level of your expectations; instead, it falls to the level of your training,” Miller told the staff. “That’s my pitch: it’s a warrior mentality that gets set in” during training at Fallon, he said, and it’s up to the NAWDC staff to ensure they instill not only good “habit patterns” into young pilots but also courage, discipline and accountability. “We are courageous, disciplined and accountable: here’s where I need your guys’ help, I think we need to raise the discipline and accountability up. I think we across Naval Aviation have let it slip. So I need your help,” he told them. Miller reminded them that Naval Aviation is the community that scores each carrier landing so critically that “I’ve been flying for 37 years, I’ve never seen one.” It’s the community that, when he first went through training at Fallon, now-retired Adm. Bill Gortney, then a lieutenant, scolded Miller for leveling off at 10,060 feet altitude when he had been instructed to level off at 10,000 feet. Training at Fallon “fundamentally changed and altered the way I think about this business and how we approach it. It’s crept into my habit patterns every time I flew. It’s in my habit patterns as I have led others later in life,” Miller told USNI News. During a question and answer session, Miller told the staff that it would take some time to increase the “up jets” rate as the Navy awaits the delivery of the spare parts it has focused on buying in the past couple budget cycles. 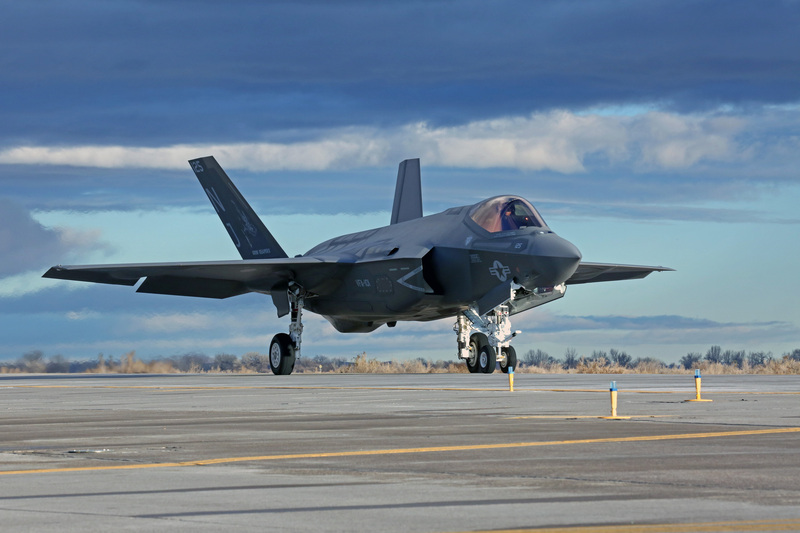 It would also take time to get some of the newest planes to NAWDC – Fallon still flies legacy F/A-18C Hornets, but Miller promised them that as the F-35C comes online he would get them F/A-18E/F Super Hornets as quickly as he could. 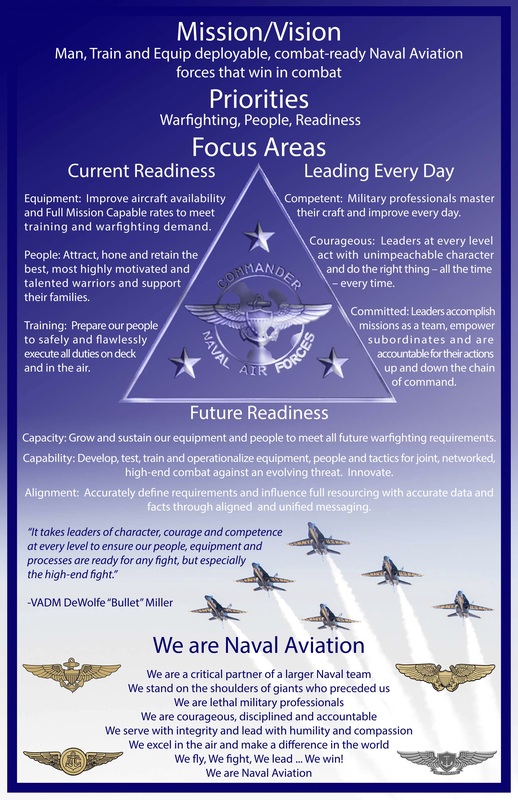 Overall, he said, even as Naval Aviation renews its focus on lethality and high-end fighting, Miller said he would hold himself accountable for increasing the readiness of the force. “We’ve done a great job keeping our deployers sharp: our ships, our air wings that are deployed, our strike groups that are deployed continue to do fantastic work. It has come, though, at the expense of the bench, the next-to-deploy and those that are behind that,” the Air Boss told USNI News.